It has been a while since a book has given me a belly laugh, and it was a welcome relief from the otherwise depressing news seen around the world. 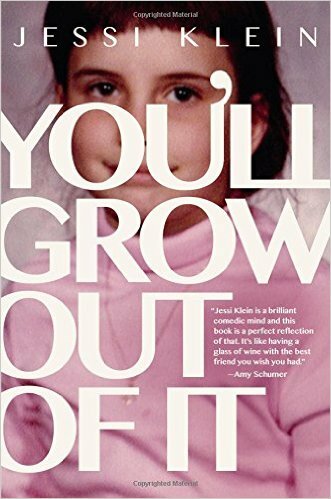 In You'll Grow Out Of It, author Jessi Klein remarks anecdotally about things as varied as "Cads" (man goobers) to Bar Method classes. My favorite chapter in the book was the one where she talked about The Bar Method. For those unfamiliar with The Bar Method, it is a workout that utilizes a ballet barre, and small pulsing movements that are incredibly challenging and leave you sore for days! She was absolutely spot on in her assessments, and I found myself with an affinity for Klein. I highly recommend this book for fans of Tina Fey and Amy Pohler. If you are looking for a reprieve from the sorrow of the world, this book offers just that and more.